#WeDoColour: Even beautiful scenes can be a source of inspiration. With the sunrise kissing the cold ground reminding us that certain colours can be warm and cold when paired correctly as seen here with blue turquoise and orange. 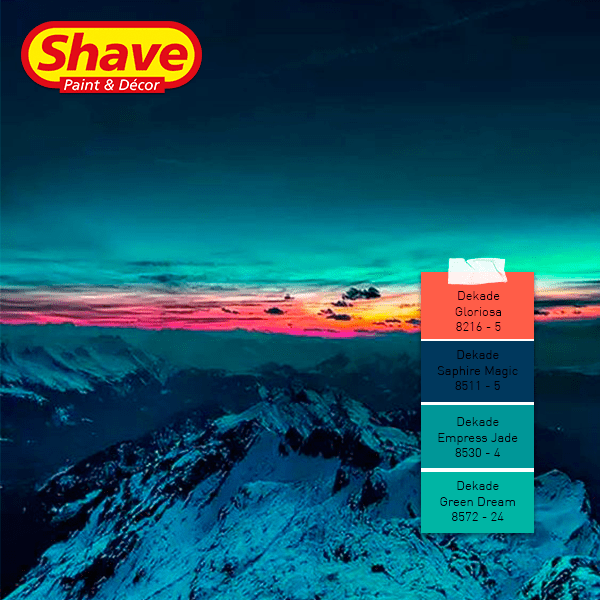 We recommend the following colours to create this look: Gloriosa (8216 -5), Saphire Magic (8511- 2), Empress Jade (8530 – 4) and Green Dream (8572 – 24) all from Dekade’s colour range.